Photo Booth hire Milton Keynes. Top of the range photo booth for your wedding, party or corporate event, fun is guaranteed. Call 07960 111996 Best price around. 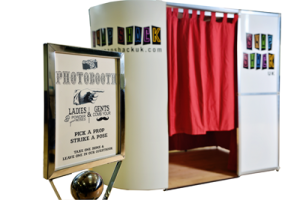 Photo Booth Hire Milton Keynes for all your Parties, Weddings and Corporate events. If you looking for a photo booth in Milton Keynes? Look no further! Snap Shack UK will guarantee you and your guests a night to remember! The laughter our photo booth creates is amazing and the photos will have everyone talking on and after the event. Whether you are holding a corporate event, a wedding, special party or just want to have a great time, we are dedicated to making your night one to remember. We will set up our high specification Photo Booth and our friendly booth attendant will make sure everything runs like clockwork. Something really interesting happens to people when they walk in the Snap Shack UK Photo booth and pull the curtain closed! Once inside with friends, family or colleagues complete with hilarious and somewhat silly props the fun and laughter begins. A different side emerges! Introverts become extroverts, extroverts, become super-extroverts – you get the picture! We tailor our photo booth hire pricing to your requirements! Upload your pictures throughout the evening straight to the Snap Shack UK Facebook, so your friends can start sharing right away! We will beat any other photo booth’s price without compromising on Quality! Contact us now for your Photo Booth Hire Milton Keynes personalised quotation.